Vacation rental house. Sleeps 6, 1 bedroom, 1 bathroom. No pets allowed. 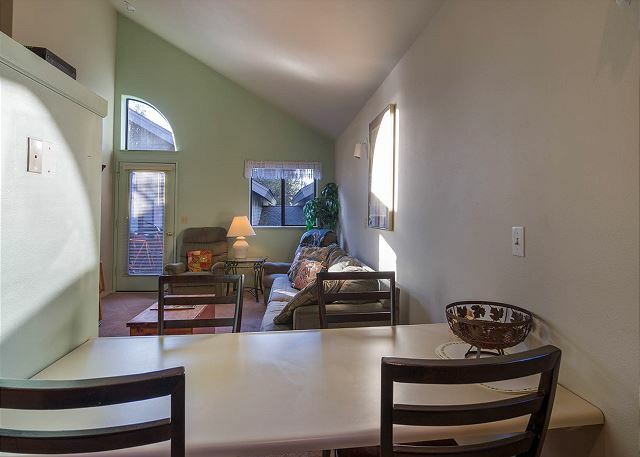 Invite up to 6 friends and stay in this 1 bedroom with loft, upper level condo. 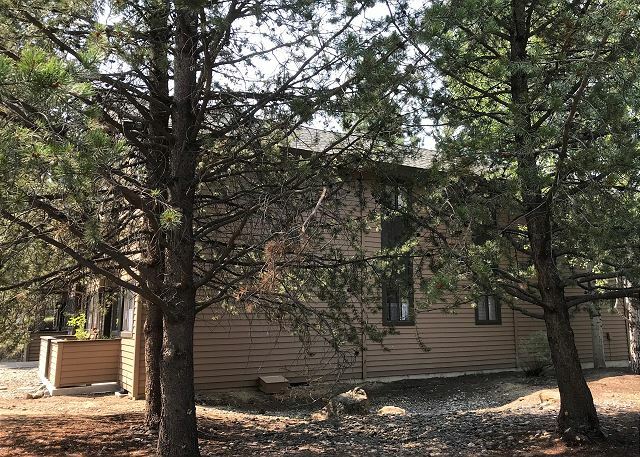 Less than one mile from the Sunriver Resort, this condo has the makings of a truly comfortable vacation home. 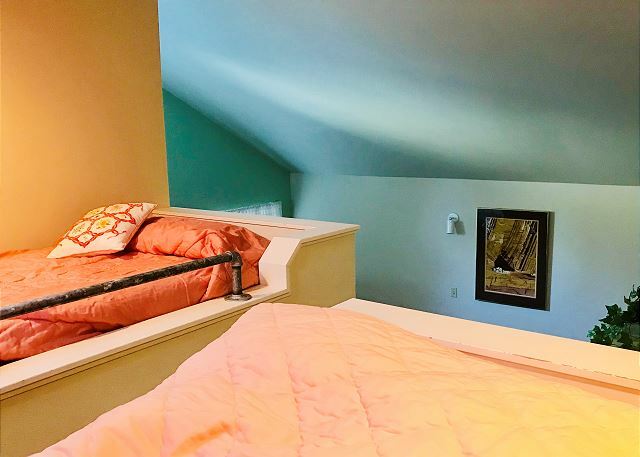 The loft has 1 double and 1 twin bed located a few steps above the main floor of the condo and a separate bedroom on the lower level that provides a queen bed. The sofa in the living room converts to a queen size hide-a-bed for extra sleeping options. 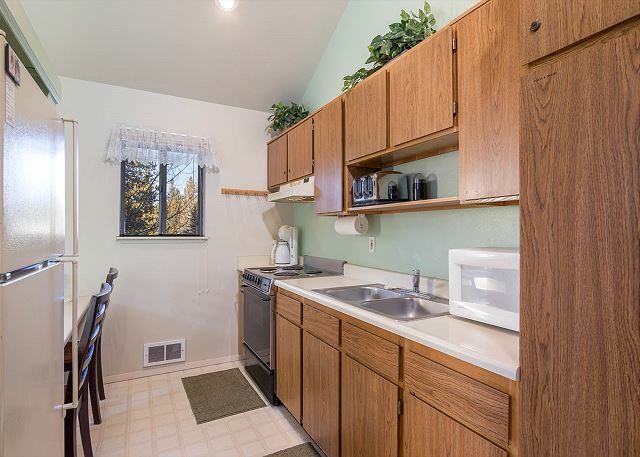 The fully stocked kitchen conveniently includes a microwave and coffee maker. 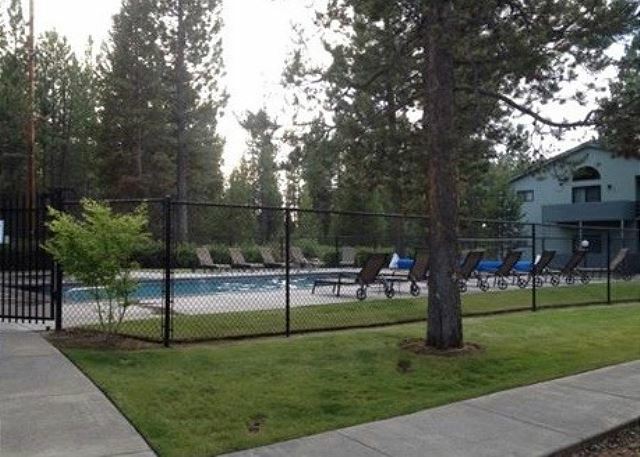 Ride Sunriver’s over 30 miles of paved bike paths using the bikes included with the condo. 1 Queen, 1 Double, 1 Twin, 1 Queen Hide-a-Bed, 2 TVs, VCR/DVD, Microwave,Coffee Maker, on-site laundry facility, access to seasonal condo hot tub and pool, located in the Sunriver Business Park, 703 sq ft.. Thank You for the 5 star Review, Gracie! 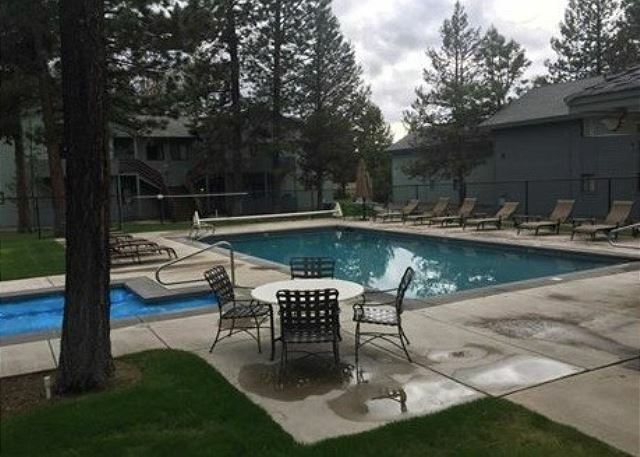 Glad to hear that you loved the location and convenience of this condo! Come back soon! 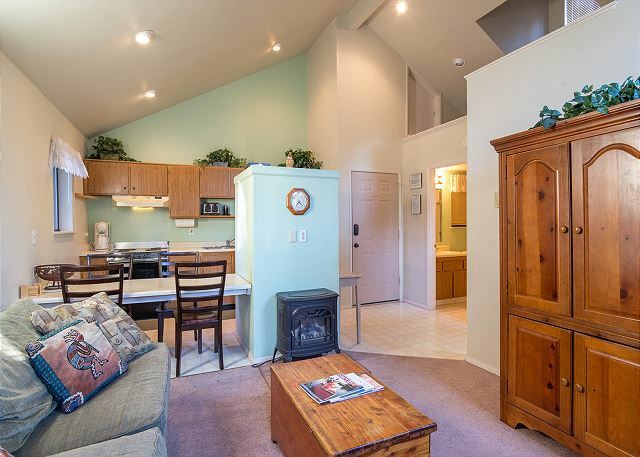 Cute place, central location, and well equipped kitchen. Customer service people are responsive and very helpful. Defiantly would recommend this place. Loved how close the pool was. Live music and food courts were an added bonus. Only criticism was that there was no air conditioning. Thank You for your review, Amber! So happy to hear that you enjoyed your stay, the pool, and our service! We hope to see you again! 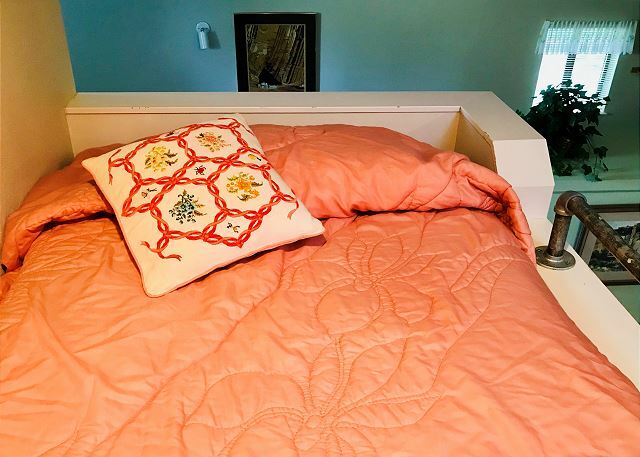 - This particular had a loft which provided extra beds, but was not kid-safe. 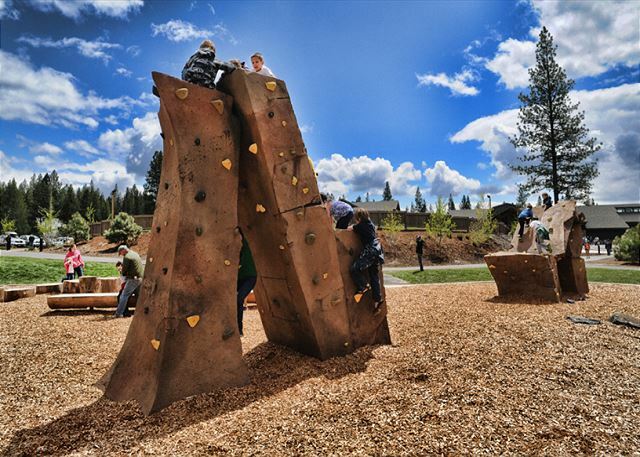 There are no easy steps to get up there, and no rails and kids can easily fall off. 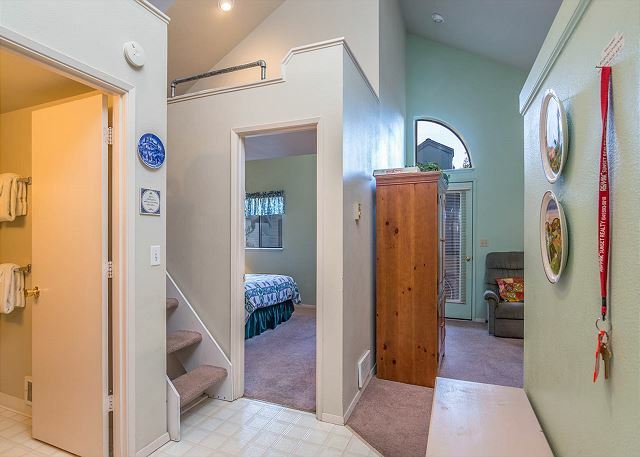 - The VRBO listing said there is a dishwasher, but there wasn't. They need to fix it. - I emailed the company about the dishwasher, but never heard back. Thank You for your review, Geoffrey! So glad you were able to enjoy the condo and it's awesome POOL and Hot Tub! Our listing does not include a dishwasher, but I will reach out to VRBO to make sure that their listing is correct. We hope to see you again! We skied Mt. Bachelor and stayed at Sunriver Powder Village. Nice accommodations for our family of three. Enjoyed the hot tub after day of skiing, and that the accommodations were not crowded or touristy. The building and surrounding area was quiet and pleasant. Beautiful drive to Mt. Bachelor every day after a nice night's sleep. 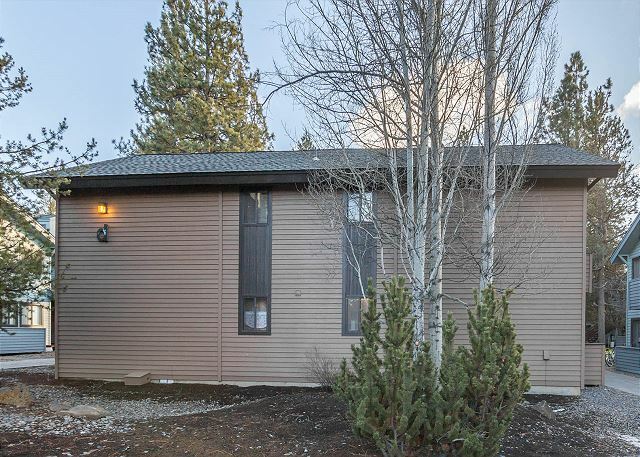 It sounds like you and your family had the perfect Sunriver ski vacation! We're so glad you enjoyed your stay at Powder Village and hope you'll return and stay with us again soon. Thank you! 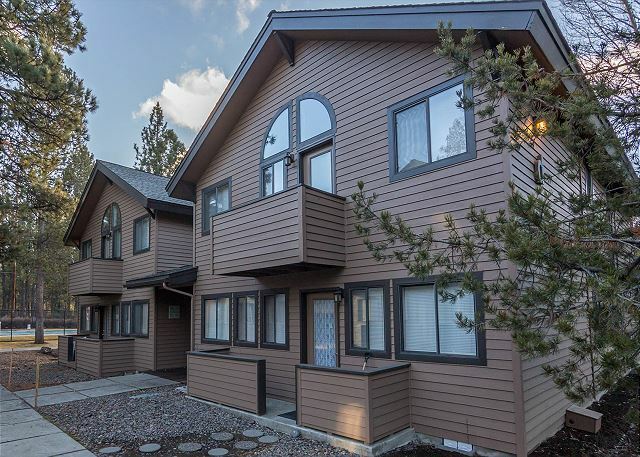 A very nice location on the south side of the resort area resulting in less traffic, and no wait lines at the lesser traveled food, shops, and gas stations. The unit was clean but showing a bit of wear with age. The pool is a plus and never crowded even on a busy eclipse weekend. No A/C but not really necessary except for about 3 hours in the afternoon as our unit was on the west side of the building. No dishwasher but not a big deal as there were only 2 of us. Thank you for your review Greg and we're glad you enjoyed your stay! the eclipse was fantastic. I will pass along your feedback to the owner for review as well! The unit was fine. 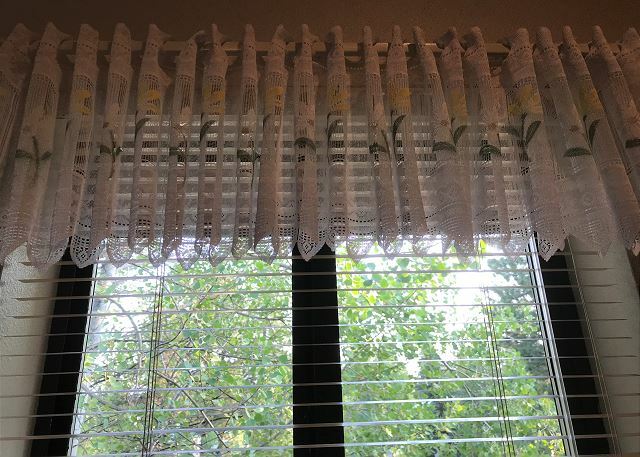 The problem we experienced was in checking in late at night, the paperwork didn't describe in detail the name of the complex, the building number and the unit number. Instead it was a cryptic code that told us virtually nothing. I would recommend that in future communications with renters that you specifically include the name of the complex, the building number and the unit number. 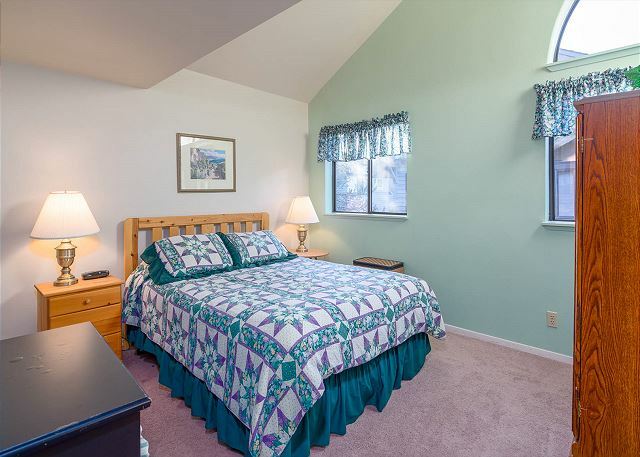 Example: Powder River Condos: building D: unit #1. Not PRCD1. Otherwise all was fine, and everything was clean and well maintained. Thank you for your review Karen! We apologize for the paperwork not giving enough detail on how to get to the complex. Although our check in instructions do offer the physical address to the home. We're glad you enjoyed the condo and hope to see you in the future! Thanks so much for the review! 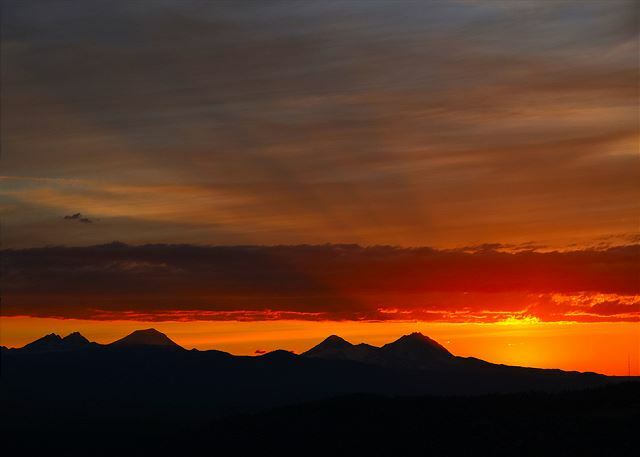 We hope to see you in Sunriver again soon! 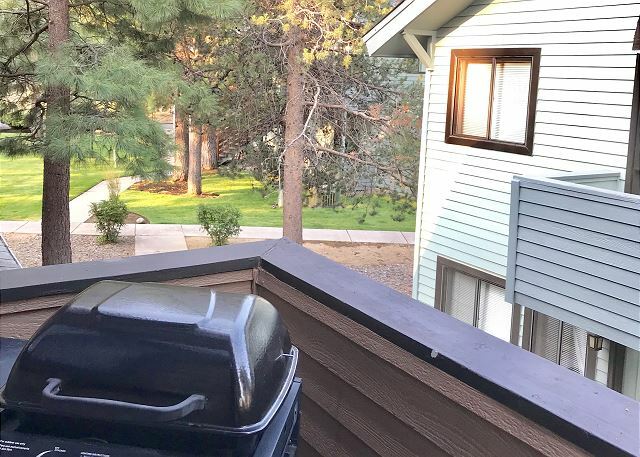 My 12 year old grndson and I had a last hurrah of summer vacation(and his first time ever) to Sunriver...First time SHARC visiotrs and that was an absolute blast. 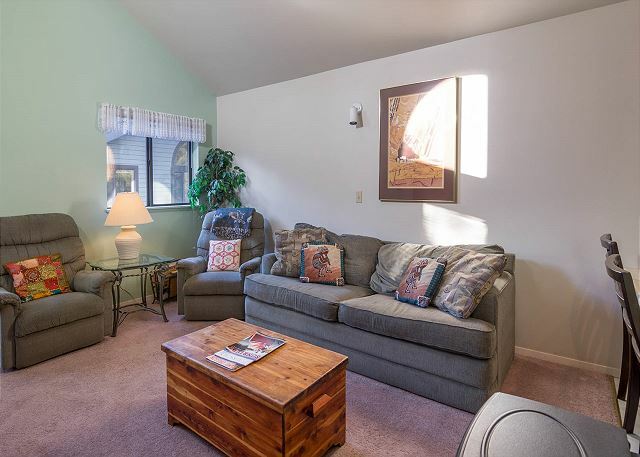 We made out meals at the condo and it was beautifully stocked with everything we could've needed.we had all the amenities we needed;he loved the loft beds.we used the pool and hot tub but it was a quick easy ride into the Villiage ,so we did that alot too. LOVED the coffee shop by the condo called theDoor" awesome food and coffee.Would definitley stay there again! My friend and I came over for three days of snowboarding and just needed an affordable place to stay. 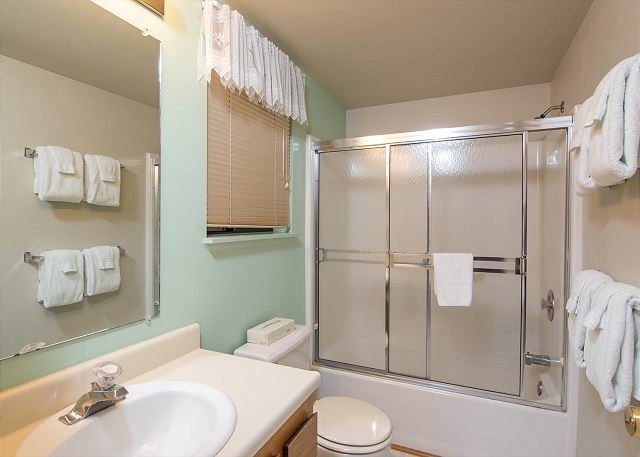 This condo was clean, affordable, and in a great location. Nothing too fancy, but we didn't need fancy.